Fall and back to school have one delicious thing in common: apples. Apples seem to be a school theme, whether it’s giving one to your teacher, or decorating classrooms with them. But here in our homeschool, we like to do a little more than that with apples. And I don’t just mean eating them, because that is happening everyday here! Apples are great for learning about and getting your hands on fractions. Plus they are just plain delicious as a second breakfast or snack. Hands-on fractions with apples is very simple to do. Decide on what fractions you are going to make, and carefully, preferably helping your children, cut the apples. Or just start cutting and see what fractions you and your kids can come up with. Have a piece of paper and pencil handy for your child to write their fractions out too. The great thing about apples, is that they are easily cut into different sections (fractions). You can use your sliced up apples to make a peanut butter apple wrap, which is a healthy lunch loved here, apples with a little cinnamon and sugar, or maybe make an apple pie. You can also use the apple seeds for counting, dividing into groups and more. You’ve got them, why not have a use for them as well. Yummy apples, whether they are fresh from the tree or bought in a store, make delicious desserts and snacks. While my kids love to eat an apple just the way it is, they also love apple peanut butter wraps, or apple crisps. They are learning amazing skills while making a great treat. Baking with apples is a fun way to start introducing fractions to your kids if you haven’t already, or if they just aren’t getting the hang of it. One of our favorite things to make with apples is slow cooker apple sauce because it’s easy and delicious. Simply put everything in your slow cooker for 6 hours, stir and serve. Perfect for cool autumn afternoons. There are some great books to grab from your local library and read together, such as Ten Apples Up on Top for younger readers. How Do Apples Grow, for your slightly older readers, is great for learning about the apple life cycle too. Grab a few books to read while enjoying some fresh homemade apple sauce this afternoon. 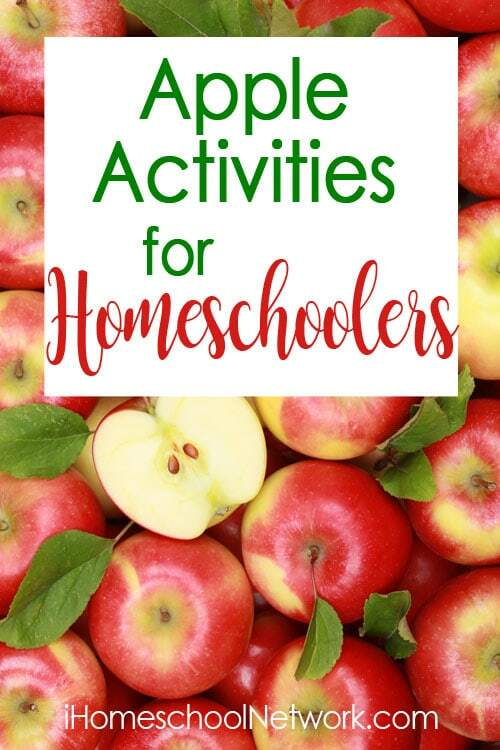 What do you use apples for learning in your homeschool?